Only AAA can run the same show twice in a year and think nothing of it. Guerra de Titanes makes it’s second appearance of the year this weekend, ending their major show calendar. 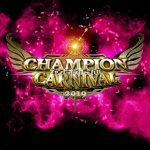 AAA will present some fun undercard matches, a confusing situation around their main championship, and a preview of the apparent new TripleMania event. 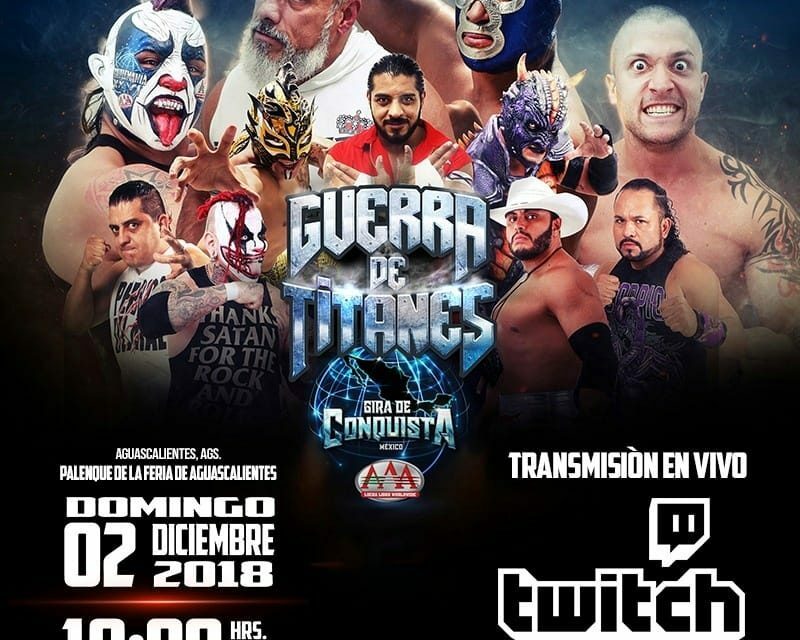 AAA’s Guerra de Titanes airs Saturday night on AAA’s Twitch channel. The first match will hit the ring around 6:30 pm CT and it will run close to three hours. As usual, the event will be available as VOD for subscribers to the Twitch channel ($5/month or free with Amazon Prime.) It should also eventually be available on AAA’s YouTube. Those TV episodes have slipped months behind real time, with AAA now starting to skip over matches in an attempt to catch up. If you want to see this show in full and relatively soon, you’ll need to watch live or pay up. Attentive readers may recall AAA already ran Guerra de Titanes back in January. This is AAA putting Guerra de Titanes back in its home calendar spot, with the awkwardness of using the same name twice. Like everything else that happened in the first third of the year, AAA has decided to pretend the January Guerra de Titanes doesn’t exist. AAA still plans on running an important Mexico City show in January too, so why they couldn’t just stick that with Guerra de Titanes and come up with something else is a bit beyond me. 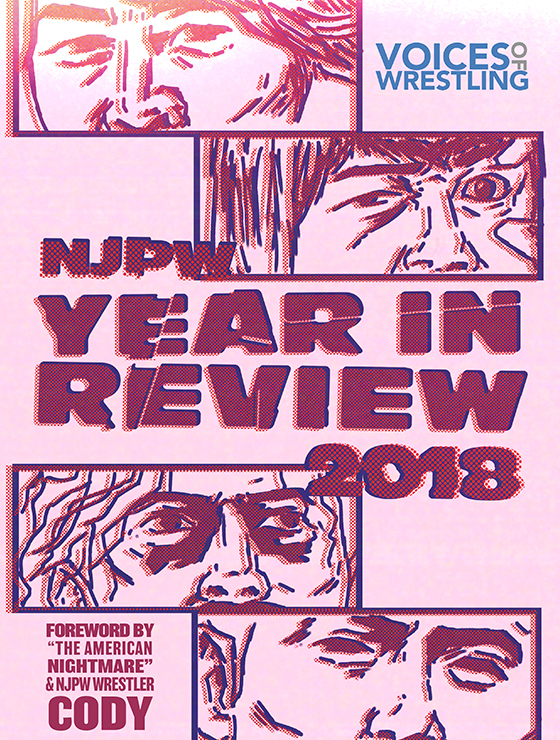 The real consequence is the person writing this was sure he was done writing these AAA previews for the year and got sucked into writing 2,000 more words. Guerra de Titanes is a seven-match card. It is the most logical build to a big event card AAA’s run this year. There are almost no unexplained guest appearances. 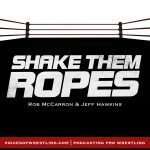 All the matches have some reasonable connection to the last few weeks of shows. It is all basic stuff but a noticeable change from the more disjoined big show lineups recently in AAA. As a bonus, there are a few really good matches. AAA’s multi-women matches have generally been good this year. They’re usually well laid out, getting in a lot of impactful offense in a short time. Keyra, Faby and Scarlett were all part of a similar good title match at Heroes Inmortales. Scarlett would be a favorite to walk out the championship if she was working AAA more the twice a month. They’re instead taking advantage of her notoriety to associate her with the top rudos, Killer Kross in particular. Availability seems like it might be an issue with Faby Apache. AAA is running a lot of TV or streaming events, running at least two a week from now until a Christmas break. Faby Apache is rarely seen on any of them; this’ll be her first appearance since that last title match. Apache is arguably still the best Mexican women’s wrestler and has well earned an easy schedule after a lot of matches over a lot of years, but it is tough to build up the women’s division if the key figure isn’t around. Any title change is going to result in a champion who’s not as good in the ring and not as popular, but also a lot more likely to promote the championship. 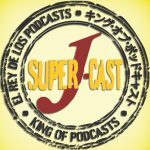 AAA starting a Keyra/Shani feud at the last taping may have hinted they’re ready to make a change. Cousins La Mascara & Máximo have technically only been feuding since August. It has felt a lot longer. There has been no depth to this rivalry beyond trying to reset both men to their more popular CMLL versions. Máximo has dropped the Brazo character bits to do focus on being an exoticos with Mamba & Pimpinela. La Mascara is trying to recapture his Los Ingobernables popularity with a new Los Mercenarios group, which instead comes off as Dollar Store knockoff of the original. The rest of Mascara’s group has actual meaningful matches to participate in, leaving utility players Parka Negra & Taurus to fill and try to salvage this. La Mascara & Máximo teased a January date to a hair match to end this feud on that last taping. It’d be great to get there. Máximo has shown he can still be interesting with the right opponent. La Mascara hasn’t been that opponent. He hasn’t found much motivation even while getting to hang out with his friends. Both need to escape each other soon. Two things here. The champion Poder del Norte have spent the bulk of the year feuding with other trios, or winning matches on tapings in strong fashion. Despite that, this is their first title defense since January. They’ve also spent the year feuding with other rudo teams, despite their past success working as opponents for flashy luchadors and the large number of flashy luchadors in AAA with nothing particular to do. This series of matches would fix those inefficiencies even it did nothing more. It’s going to be a lot more. These two teams have had two matches already as the lead up to this moment, and both have been pretty entertaining. Hijo del Vikingo remains an engrossing and amazing high flyer. Angelikal would be getting all the same plaudits if viking boy wasn’t around to get the spotlight. This challenging técnico team is really all about Laredo Kid though. Laredo’s finished up this year strong in AAA, with some good work with Fenix, a great match with Drago on AAA’s Lucha Capital show, and steadying this young trio in recent matches. It’s a nice spot for him to be in for once. Laredo Kid works all over the place in Mexico and increasingly in the US, and it’s tough to name a single high profile character moment or feud he’s had. Everyone seems to trust in him to have a good match, but no one’s much invests in building him as a star. There’s no great rivalry here either, at least not yet, but capping the year with an upset title win would at least give Laredo Kid a moment he’s more than earned. Pagano & Joe Lider have called themselves the best extreme wrestlers of Mexico. Los Macizos, Ciclope & Miedo Extremo, sent in a video to dispute the point. They later decided just to show up and destroy the AAA duo in person. The two teams have split their matches so far. Texano & Escorpión are here just because they’re the tag team champions, though I guess they also did some extreme stuff back at TripleMania. Ciclope & Miedo Extremo have proven that hard work and paying dues can pay off in the big Mexican wrestling promotions. Just as long as you do it in some other country. Ciclope & Miedo Extremo are in AAA because Pagano needed something to do and Pagano likes extreme matches. Los Macizos are the ones getting that spot because they made waves in the US in GCW and in Japan in FREEDOMS, coming back to AAA as international names. They were impressive at what they did before they crossed a border, but it was doing well in those much smaller promotions that convinced AAA to give them a big spot. (They’d be hoping for opening matches, like fellow Pachuca luchador Draztick Boy, had they just stayed home.) 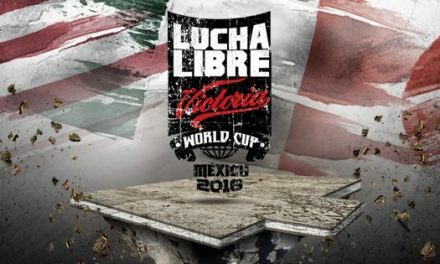 The big lesson for luchadors in 2018 is that the surest path to a big spot in Mexico is leaving Mexico. Chalk this up as a semi-forgotten championship getting dusted off for a defense. Fantasma’s been focused on Fenix and the Megachampionship of late, didn’t take a challenge from Drago all that seriously, and promptly got pinned by Drago. The challenger has slowly been reduced by a lingering shoulder injury, but he and Laredo Kid just had a pretty good match. The consensus is Hijo del Fantasma is quite good, but he had many good matches this year. He has been weighed down by storytelling but, outside the heavy stakes match of TripleMania, you’d have to go back to Fantasma’s last defense in March to find something that was worth remembering. I’m not so sure the consensus on Fantasma is still accurate. Maybe we’ll have a better idea after this one. Fantasma still moving towards the main AAA title, with or without this belt. I’d prefer he keeps it. If that’s not an option, maybe they can just fire this belt into the sun. Don’t get me wrong, Drago as champion would be a neat bit. It’s just AAA is not a singles match promotion and is not a championship based promotion. (Sammy Guevera is still AAA cruiserweight champion, hasn’t been on a show for months, may not be on a show for months again, and it makes no difference at all, no offense to Sammy.) Maybe if AAA cuts enough titles out, some of them might mean something to people beyond the wrestlers. This one means something. I’m not exactly sure what the something is. It’s complicated. You probably know part of the story already, but I’ll get there. The idea of Fenix as champion was to have a lot of great Fenix matches. It would change AAA’s image from “a land of strange angles and goofiness” to “a land of strange angles and goofiness, but also some pretty fine matches.” AAA has to book Fenix to get those Fenix matches. They haven’t been doing a lot of that for reasons that will become suspicious in about a paragraph. Fenix with the AAA champion has been seen more often on US indies than in Mexico rings. Still, hey, they brought in Cage, and Fenix versus Cage should be exactly that sort of great Fenix match. Should be a great Fenix match to see. There’s a problem. (No, we’re not even to the injury. I’ll get to it.) You can’t actually see Fenix in AAA, unless you’re watching the Twitch stream. Fenix’s return match to the promotion in August aired on TV. 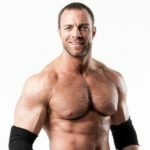 Every match since – his title win at TripleMania, and his subsequent TV taping appearances – have been cut from AAA’s TV show. Those matches do not appear on AAA’s YouTube show. They’ve just been vanished out of existence. It’s tough to build off the popularity of a wrestler if you’re making the wrestler invisible, but that’s where it is. It also might be moot. Fenix being taken off TV and Cage suddenly flipping to the técnico side to feud with Fantasma sure appeared to hint at a shock title change in this match. 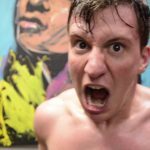 Fenix’s injury means that scenario can’t happen. 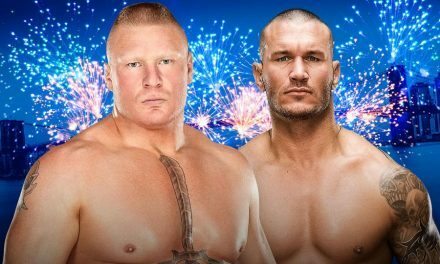 AAA hasn’t given any hint at what will happen with this match instead. If AAA’s really set on getting the belt off Fenix, they could just take it away from him and do a decision match with Cage and someone else. It’d look foolish, but that’s AAA is never afraid of that. It was suspected LA Park had once again walked out of AAA around the time of the last major show. It is certain now. It also LA Park, which means he might get some assurances and make an agreement to come back at any time. AAA is moving on without him in the meantime, with Blue Demon inserted in LA Park’s place. No one’s quite saying Demon will be facing Wagner in a mask versus hair match at next year’s TripleMania, possibly because AAA would have to acknowledge they made the Park/Wagner match without it actually being set, but that appears to be the working concept. Demon is a bigger brand than Park but Pluto to LA Park’s Jupiter in terms of an entertainer. Demon is a slow, old, and his long-ago best matches were of a technical style that doesn’t fit in AAA at all. Wagner/Demon will be a famous match that will be a bore to watch if it happens. This tag match won’t be much better, thought the partners will be some help. Killer Kross, now set in an arc of an undefeated guy who’s going to be taking that first L really soon, could at least brawl with Psycho Clown a little bit. Psycho, the face of the promotion, has been rudderless since the moment he left the cage at TripleMania. It’s been a surprising lack of direction, weirdly coming at a time where his in-ring has gotten a little bit better. Psycho seems like he might have lost a bit of weight and seems opener to breaking out of his patterned matches a bit. Maybe he’ll have enough creativity to make something out of this nothing. Guerra de Titanes is the first AAA stream in a few weeks not to go up against a WWE or wrestling streaming event. It is definitely worth a shot if you’re looking for something to watch on Sunday. The undercard has multiple promising matches. The Fenix title situation promises to add some typical AAA weirdness. 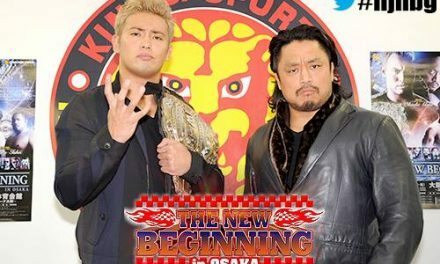 I’d recommend skipping out before the main event tag match. The rest of the card should be a fun way to spend a Sunday.